The Golden Ticket Fund-Raising Program - Stik-it! 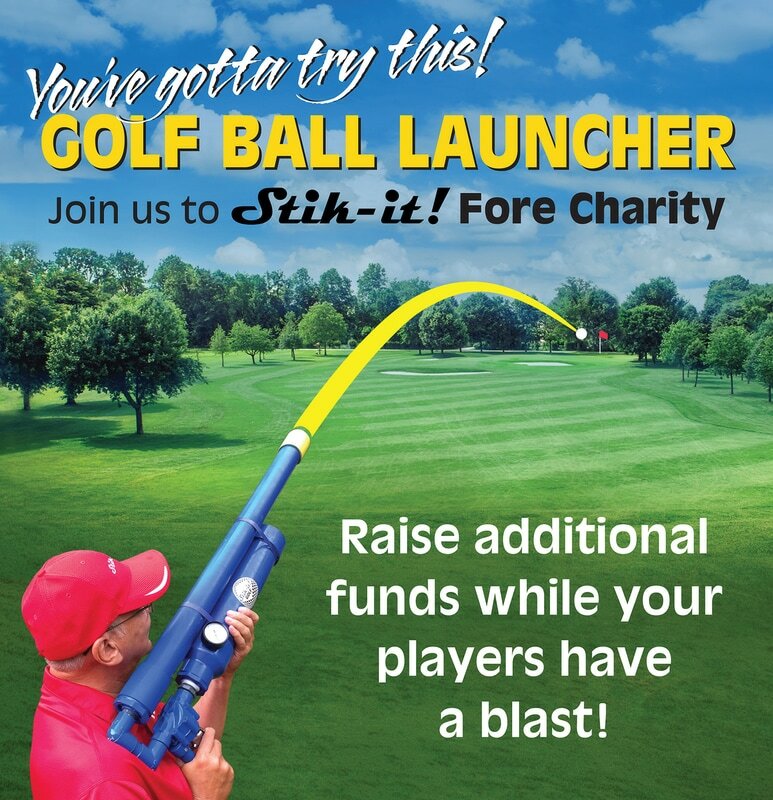 ​Our exciting compressed air Ball Launcher instantly brings more fun and revenue to charity golf events. We do all the work, provide all the signage and equipment, even take credit cards on-site. Our skilled staff sets up on a Par 4 tee and personally offers each player an opportunity to launch a golf ball at least 300 yards to the green. The Launcher is designed for safe use by adults and kids, seasoned golfers and first-time players. 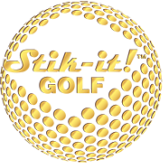 EVERYONE wants to shoot it to the green and Stik-it! Fore Charity. ​made with the Ball Launcher! 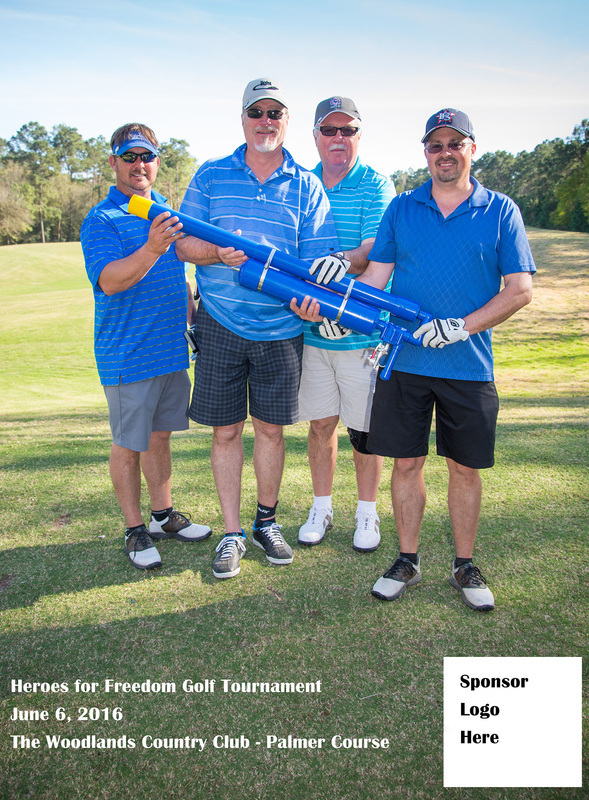 ​Players pay to shoot at a specified par 4 green and their ball is accurately launched over 300 yards. If all players buy a shot, the team takes an Eagle on the hole. 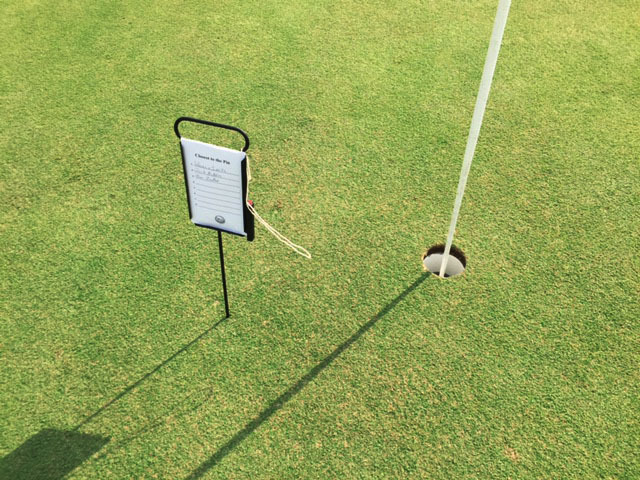 ​This hole includes a Closest to the Pin contest as well. Also ask about a photo sponsorship opportunity for your event. the STIK-IT! GOLF CLUB STAND IS MADE IN THE U.S.A.